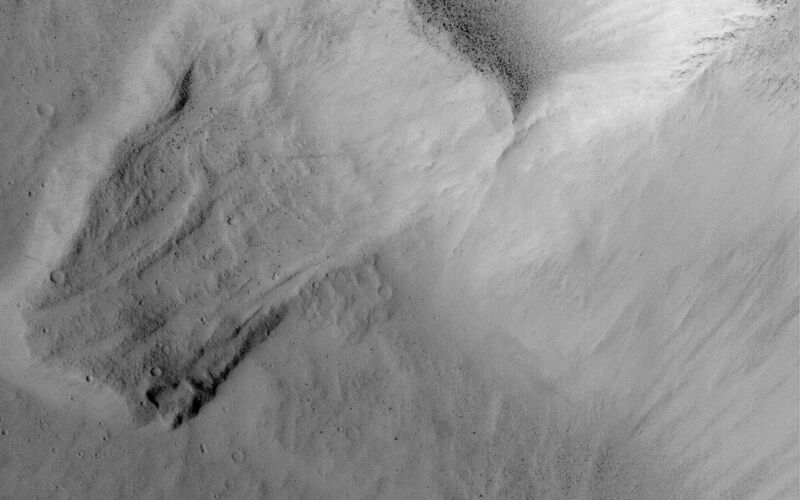 The Mars Global Surveyor (MGS) Mars Orbiter Camera (MOC) continues in 2003 to return excellent, high resolution images of the red planet's surface. 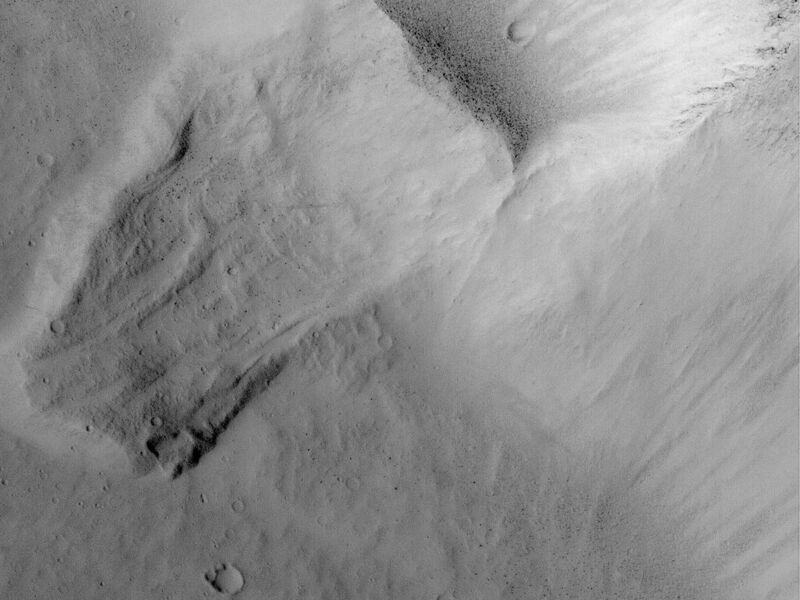 This nearly 1.5 meters (5 ft.) per pixel view of a landslide on a 200 meter-high (219 yards-high) slope in Kasei Valles was specifically targeted for scientific investigation by rotating the MGS spacecraft about 7.8° off-nadir in January 2003. The scar left by the landslide reveals layers in the bedrock at the top the slope and shows a plethora of dark-toned, house-sized boulders that rolled down the slope and collected at the base of the landslide scar. 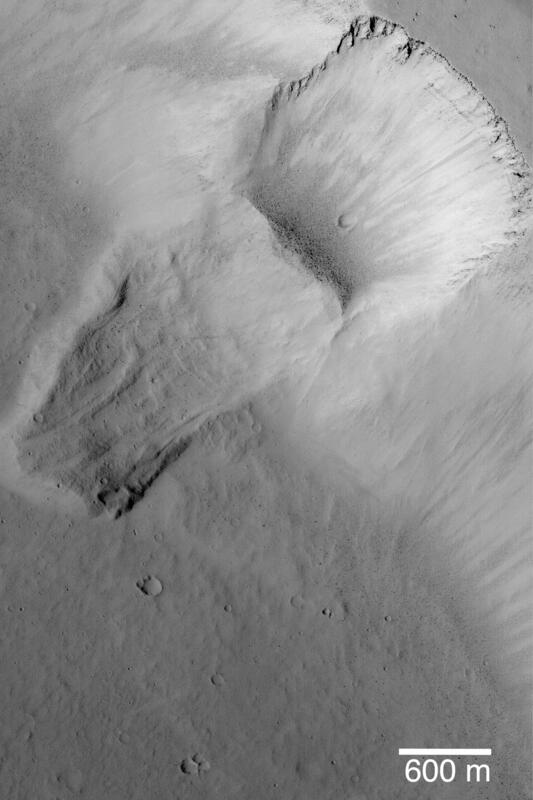 A few meteor impact craters have formed on the landslide deposit and within the scar, indicating that this landslide occurred a very long time ago. 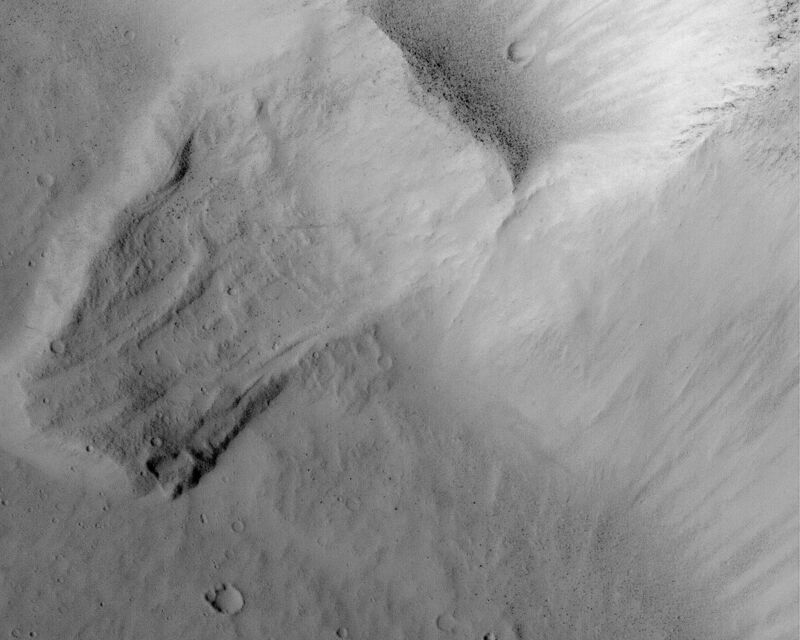 Sunlight illuminates this scene from the left/lower left; the landslide is located near 28.3°N, 71.9°W.